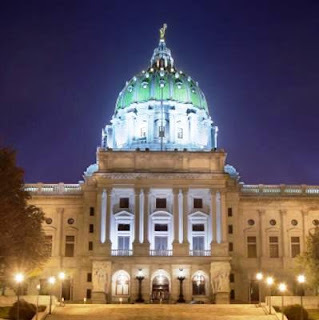 Hindus have commended Pennsylvania State Senate for reportedly providing a yoga and meditation room for usage by legislators and legislative staff in Harrisburg Capitol, calling it a “step in the positive direction”. Distinguished Hindu statesman Rajan Zed, in a statement in Nevada today, welcomed Pennsylvania Senate for reportedly coming forward and arranging a space for legislators and legislative staff to avail the multiple benefits yoga provided. Zed, who is President of Universal Society of Hinduism; urged other 49 state legislatures of the country to work towards formally placing a yoga room in state capitols; thus incorporating highly beneficial yoga in the lives of state legislators and legislative employees, resulting in healthy decisions for the electorates. Yoga, referred as “a living fossil”, was a mental and physical discipline, for everybody to share and benefit from, whose traces went back to around 2,000 BCE to Indus Valley civilization, Rajan Zed pointed out. Zed further said that yoga, although introduced and nourished by Hinduism, was a world heritage and liberation powerhouse to be utilized by all. According to Patanjali who codified it in Yoga Sutra, yoga was a methodical effort to attain perfection, through the control of the different elements of human nature, physical and psychical. Legislators and legislative employees across nation’s capitols deserved a quiet place for yoga and meditation to unwind after stressful workdays. Pennsylvania and other capitols should also offer at least twice-weekly yoga sessions with certified instructors as part of their wellness efforts, Rajan Zed indicated. According to a recent report of US Centers for Disease Control and Prevention: “Yoga is the most popular complementary health approach in the United States - used by 14.3% of the adult population, or 35.2 million people”. According to US National Institutes of Health, yoga may help one to feel more relaxed, be more flexible, improve posture, breathe deeply, and get rid of stress. Yoga was the repository of something basic in the human soul and psyche, Zed added. Parliament of Australia had also reportedly offered yoga classes/training to members in the Parliament House in Canberra.